WebQuest: Teen Violence: Who Are the Everyday Victims? Teen Violence: Who Are the Everyday Victims? 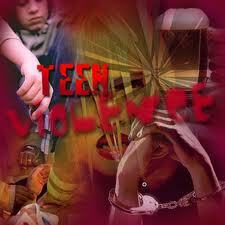 Welcome: Teen Violence: Who Are the Everyday Victims? Description: This webquest is one designed as a pre-reading or follow-up project to do before or after reading the novel The Outsiders by S.E. Hinton. However, this webquest is designed in a way so that it can accompany any novel that deals with issues of teen violence, or it can be done to perhaps accompany an unit in a health or character education course.